All three recent Prime Minister Abe scandals were commonly rooted in the lack of records management in the Japanese government. For the last few months in Japan, many citizens were glued to the televised congressional hearings on Abe’s “favored deals” of his friends: Moritomo; Kake, both for school establishment; and Abe’s favorite Defense Minister, who covered up the daily logs of Japan’s Defense Force peacekeeping operations in South Sudan. In all three cases, Abe and his involved Cabinet Ministers as well as their bureaucratic aides, denied the existence of, or concealed the evidential administrative documents which had been “luckily” (for citizens) leaked out by government insiders to the media and opposition party members. These scandals surfaced to the citizens, one after the other, first through media. Opposition parties and the low citizen support ratings pressured Abe’s government party to open the congressional meetings to investigate these “favored deals.” Consequently, hitherto “one strong dictator Abe” and his Cabinet drastically lowered the citizens’ support of him and his political party to the point of crisis. The Defense Minister stepped down. In efforts to regain citizens’ support, Prime Minister Abe reshuffled the Cabinet in early August. First, it should be noted for U.S. readers that Japan is a backward nation in term of public record management and information disclosure. Information Disclosure law has only been in effect in Japan since 2001. The Public Records and Archives Management ACT (hereafter cited as PRAMA) only became effective in 2011. For a long time in Japanese government, administrative documents were inconvenient to the government and were judged arbitrarily to be classified as “non-administrative documents” and thus considered as private memos of officials and quickly destroyed to avoid public access. However, these two laws combined, stipulated government officials must prepare register and preserve administrative documents so that the citizens know later the process of government decisionmaking; these administrative documents include all records and information in paper or digital form, including individual officials’ memos shared by others for government activities. These administrative documents must be disclosed to citizens, unless the disclosure is violating a private citizen’s privacy, or involves sensitive diplomacy or national security. The major loophole of PRAMA is that each Ministry is authorized to judge whether or not each document falls into the category of historical public records and archives. If a document is considered not to fall into that category, then the Ministry can set the preservation period at less than one year (which could mean one week or one month). On the Kake veterinary school establishment deal (Abe and Kake are close friends), a former Administrative Vice Minister of Education Ministry who was “summoned” to the congress, testified circumstantial evidence of his own leaked information of the favored deal. Abe and his Cabinet officials failed to show convincing counteractive facts. Not only government officials, but also citizens are neither familiar with administrative records or archives. 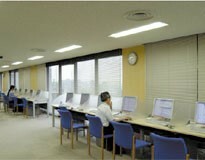 Citizens consider archives as historical documents stored in libraries such as the National Archive of Japan established in 1971 in Tokyo. 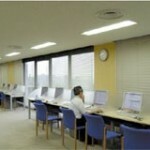 But citizens have not seen records center buildings in municipalities in Japan. In stark contrast, this author, while living in the United States, encountered even in a small village a big records center building easily notable while driving. Many well-trained records managers and archivists are placed in both local and Federal governments in US. (4) A records center must be established in each public office including municipalities for citizens easy access. Japanese citizens are entitled to much better public records management and information disclosure, which is the foundation of democratic governance. Author: Dr. Itoko Suzuki is a retired senior citizen of Japan; former chief, Branch of Public Administration and Governance, United Nations; former professor of public administration in a few universities (2000-2010) including, Ritsumeikan Asia Pacific University. She can be reached at [email protected] ocn.ne. jp.